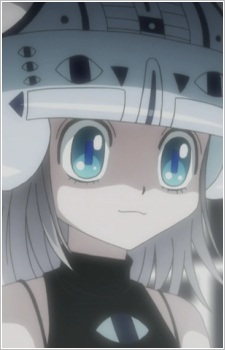 Eeta is, like her twin sister Elena, one of the eleven who helped make Greed Island. One of the e's in "Greed" is after her first letter. She is in charge of moving people from the real world to Greed Island. She plays the tape for Gon, left behind by his father.